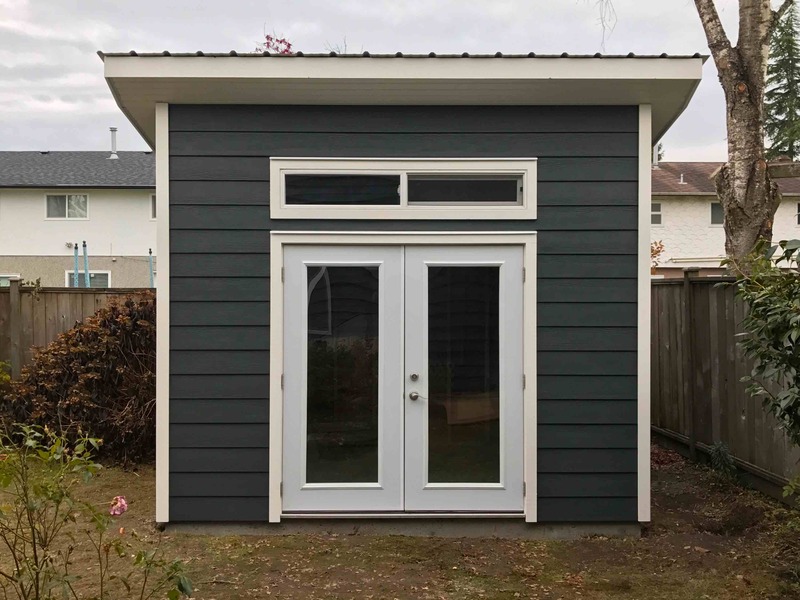 This shed was specifically built to be a backyard office for our client, so she could escape her home and focus on running her business during the day. 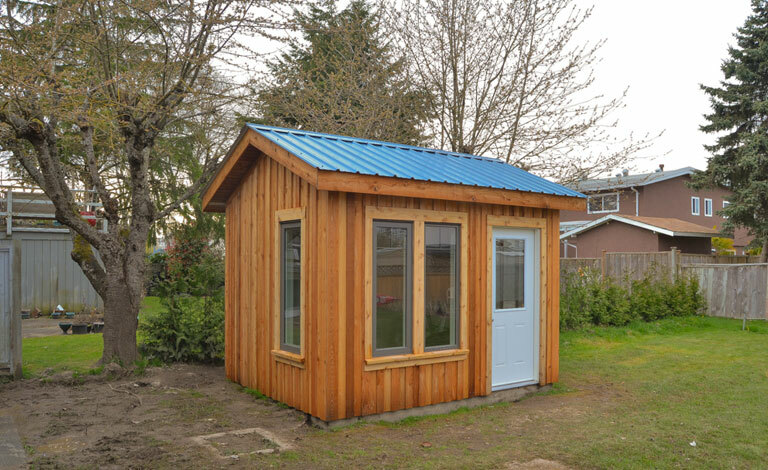 This small building was designed to incorporate many windows, so the primary lighting source would be natural. 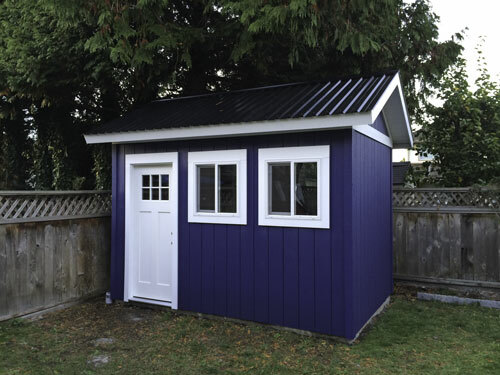 The dimensions of this shed are a bit different because they were designed to be the best for the office furniture the client had in mind. 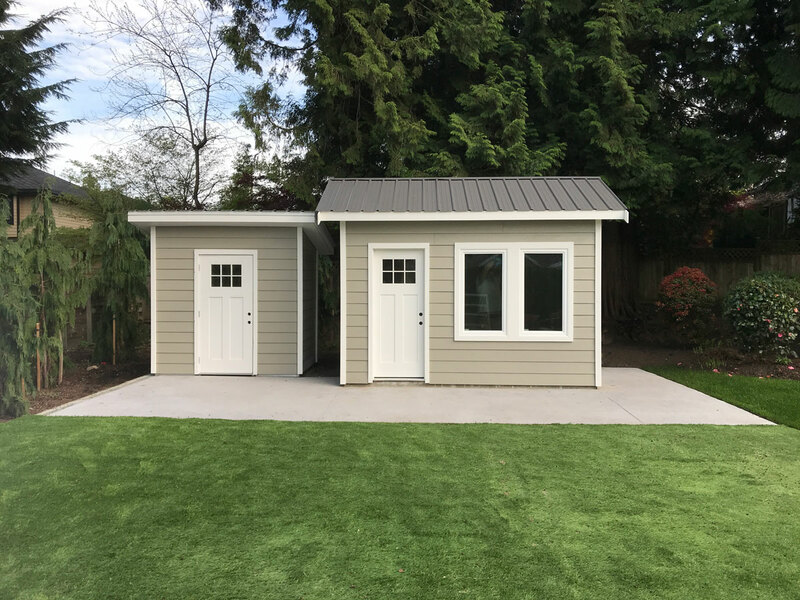 This shed is build exactly like a home, it rests on a 10″ slab foundation with rebar, it has 2×4 walls with half inch exterior sheathing, building paper and 1×8 board and batten siding. 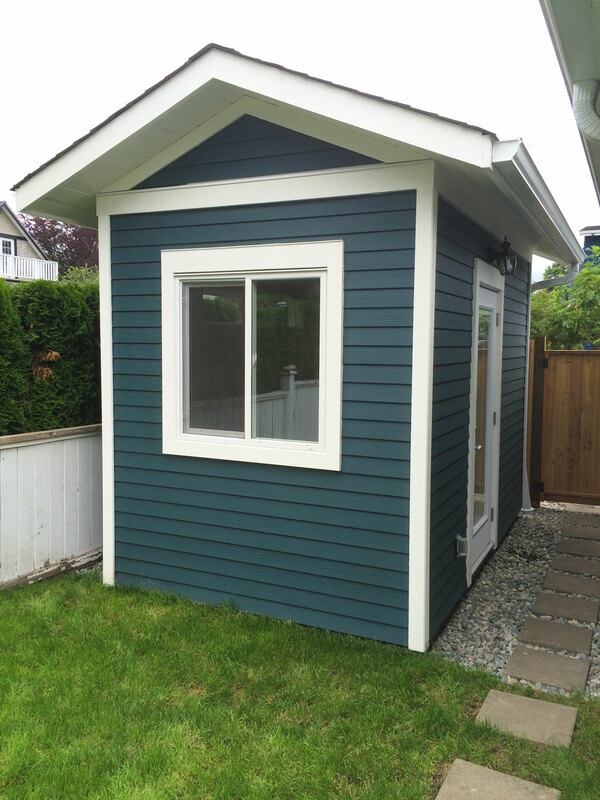 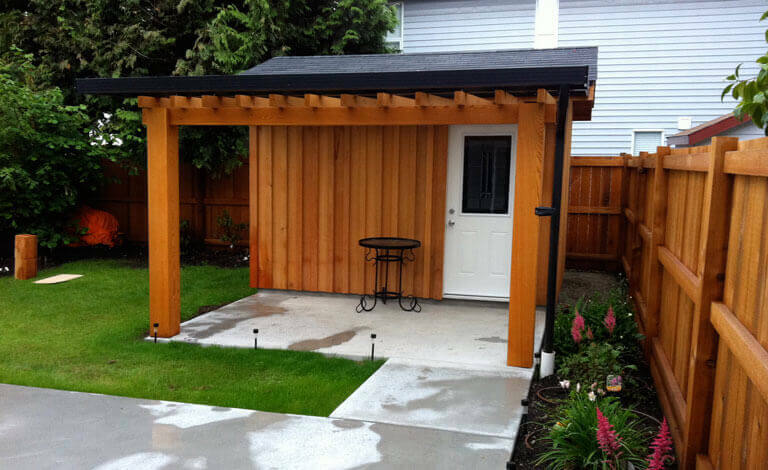 This shed is suitable for any yard from West Vancouver to Surrey. 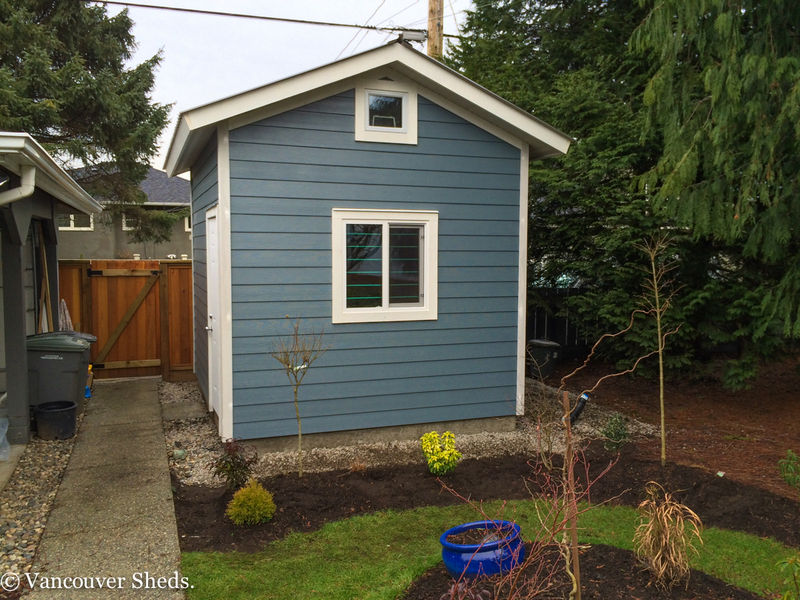 This shed is electrified with lights, plugs, heat, internet and a telephone line. 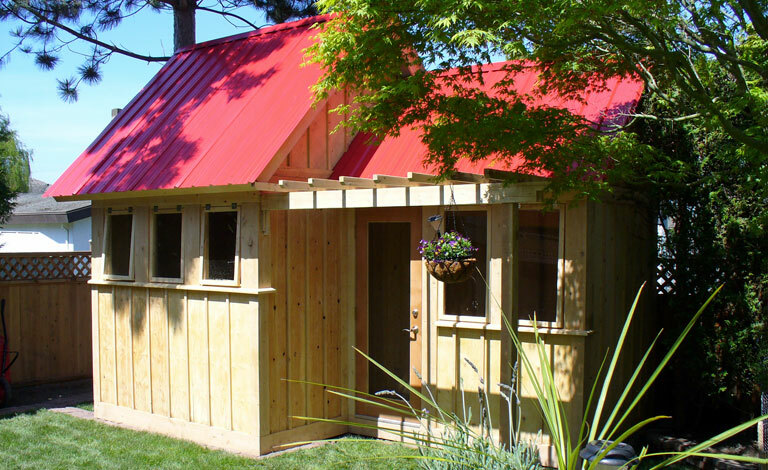 The interior is finished with drywall, wood cased windows and a hardwood floor.